Our First Winner for the IVAA Online Summit! The IVAA Online Summit Committee has been getting all the plans in place for our Annual Online Conference for Virtual Assistants and Professionals. It has been a very busy few weeks behind the scenes at IVAA. We have two full days set aside for learning, training, networking and more, all being held on October 25th and 26th. We always encourage people to sign up early for the Summit and this year we are offering several cool prizes during each week of registration. The best prizes are going first and today we awarded the 1st weekly prize out to Rebecca Ishibashi of My Clever Assistant located in Tennessee. Rebecca tells us she is looking forward to attending her first Online Summit with IVAA and she was “Over the Top” excited to learn she had won the Kindle. We are just prepping the website info with some of the initial speakers but are very excited at some of the topics and speakers we have lined up this year. Here is a list of some of our speakers as well as a link to their Twitter IDs so you can check them out ahead of time! The Speakers Sessions are all geared to helping a mix of VAs in business – new and established – and to help you Build, Manage and Balance your business. Learn way to grow, new techniques skills to help your business succeed. Be certain to tweet with the hashtag #IVAA12 to be part of the online conversations. 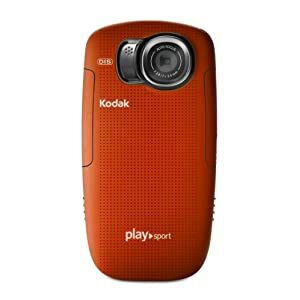 This week’s prize is a Kodak Video Camera. Make certain to register before Monday Sept 24th to be in on this weekly draw. You also save $25 before October 1st if you are an IVAA Member, and non members are more than welcome as well – you get in on the conference as well as ALL the prize draws! Even our Grand Prize Draw, a ticket to our LIVE Summit in Philadelphia in May of 2013 or the 2nd Place prize which is an IVAAA Membership. Every person attending the conference gets a Virtual Goody Bag – An online bag chock full of valuable tools and resources to help you build your VA business. The Planning Committee tells me there is more than $ 300 worth of products/services/downloads in every Goody Bag… and more to come! Register early to win even more!